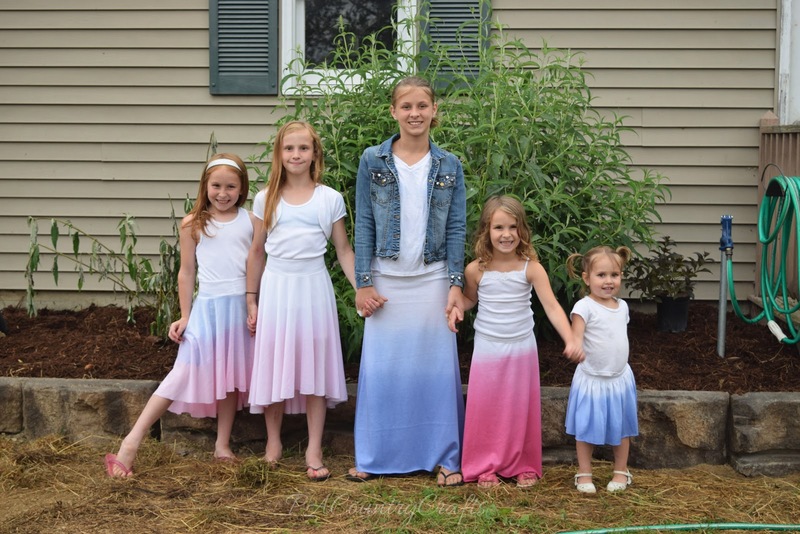 I haven't been sewing lately, but I have had this idea in my head for awhile to make ombre dyed skirts for the girls and July 4th was as good of a reason as any to try it out. I had some knit in a tote that was given to me about 9 years ago (back when I was still scared of sewing with anything but quilting cotton). So, this project only cost me about $3 for the dye and only took a little bit of time. I let the girls choose what they wanted. Two wanted maxi skirts and two wanted high-low circle skirts. The youngest got what was left over. The maxi skirts were constructed very similarly to THIS tutorial, but I made a waistband measuring their waist size by 6 1/2" (which is folded in half) instead of a fold over yoga waistband. 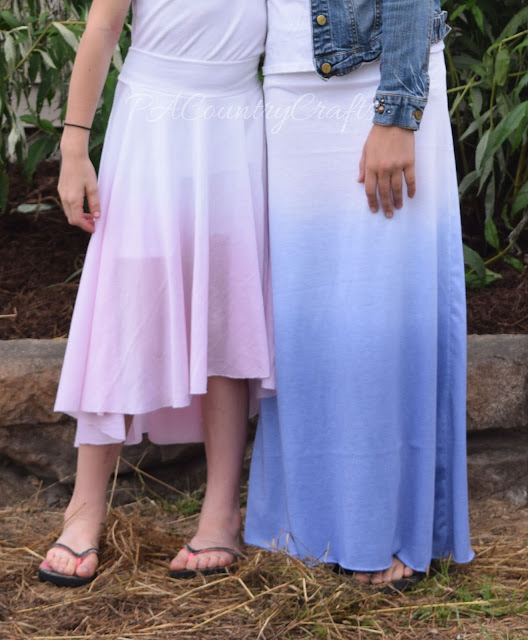 The circle skirts were cut the same as THIS tutorial, but sewn to a waistband made the same way as the maxi skirts. The smallest skirt was just a gathered piece of what was left sewn to a waistband (which I made too big - poor girl was losing her skirt at the picnic!) Always make the waistband a little on the small side so that it stays up! I timed myself on one of the skirts and it only took 15 minutes to make! I didn't hem them because I just wasn't that ambitious and it doesn't really matter. 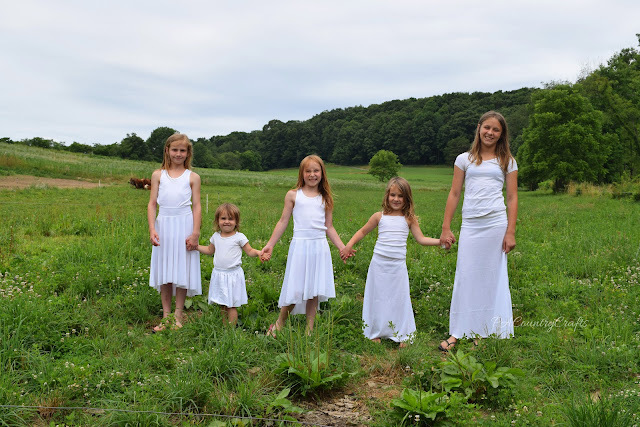 So, we took some before pictures with them all in white. I liked them this way and hated to dye them! Then, came the dyeing. It went OK and we found that a good way to increase the ombre effect instead of having a distinct line between the white and color was to water down some dye and pour it across the skirt. Then, we sprayed it upwards with the hose. The circle skirts were made with a different piece of fabric than the other skirts, and did not take the dye well at all. We left them in the bucket for a really long time, but they were just not absorbing the color. They were such a thin fabric that the girls had to wear bike shorts underneath them. These were both dipped in blue dye. 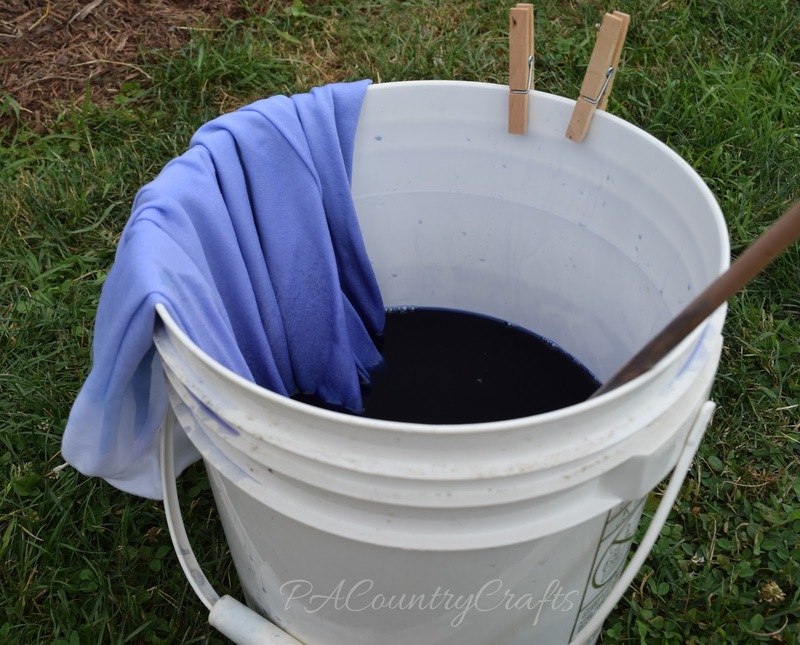 When I washed the circle skirts, the remaining color came out and they are white again. Lesson learned. Check the fiber content or test it out. The red turned more pink, which I expected. I never have much luck with red Rit dye. Honestly, I kind of want an ombre dyed maxi skirt for myself now! 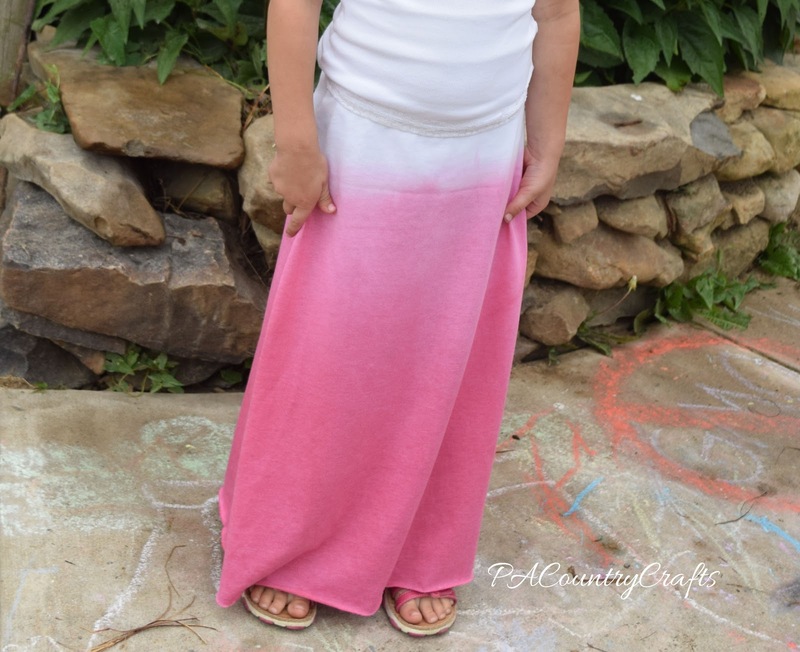 Step by step tutorial with pictures to make this simple girls dress out of knit fabric. I can be made with a contrasting panel or sheer lace across the shoulders.